3 Bedroom Semi Detached House For Sale in Bacup for Offers Over £80,000. NO CHAIN !!!! 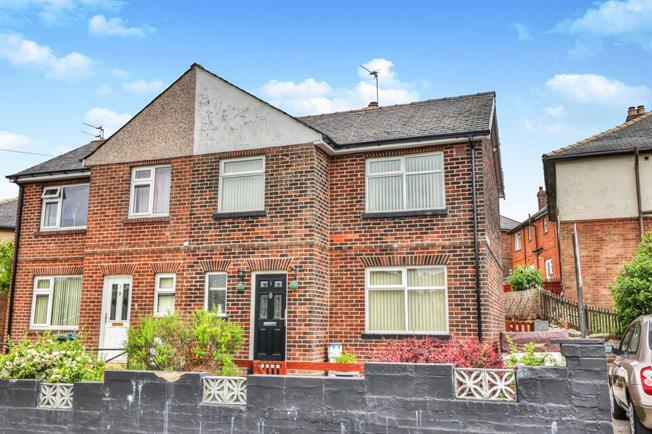 This is a charming semi detached property with off street parking, front and rear garden. Spacious lounge, good size kitchen with base and wall cupboards. Two double bedrooms, one single bedroom. Good size family bathroom with corner shower, wc and hand basin. The property is immaculate and ready to move into. This property needs to be viewed to appreciate the location and amenities.. Spacious lounge with fireplace and surround. Good size kitchen with base and wall units, door leading to rear garden. Family bathroom, comprising of white suite, corner shower, wc and hand basin.